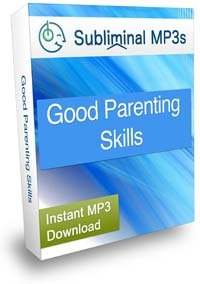 Become the best parent you possibly can and develop good parenting skills with this subliminal mp3 album. Do you care about the development of your children? Are you doubting your parenting skills? Do you want to be the best parent you can to them? Every parent wants what's best for their children, but many of them are doubtful that they're doing it OK, that the decisions and choices they make for their youngsters aren't always right; if you're one of those parents who feel like they could do more for their children, you're not alone. Parenting is a serious thing and it's natural to feel insecure; however, you have to overcome the insecurity if you want to be a successful parent, a role model to your children. You can't be too strict on them, you shouldn't be overprotective either. The golden rule is to find a balance, but it can be difficult to find it in some situations. This album can help you in finding that balance by stimulating subtle changes to the way you feel about your parenting skills. You already have the love for your children, you just need to work on believing in your abilities to handle them and to direct them the right way. You will notice that you're a lot less hesitant. You will stop questioning your decisions and you'll learn to trust your first instinct. You will be able to both set boundaries and limits for them, but also be able to judge when to give them more freedom and responsibility. You will work on spending more quality time with your children. You will no longer be too busy to notice their problems and to talk with them; your children will become a real priority to you and you will work on organizing your time so that you can be with them more. 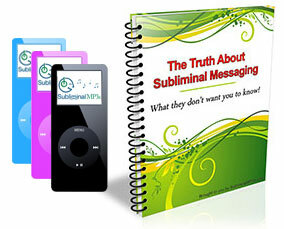 You will want to learn more about them. Your children are persons just like you, and you'll notice that you're paying much more attention to that fact. You will be driven to listen to them more and to learn about what they like and why, the way they think... That way you will be in a much better position to make the decisions that will really benefit them in their development. This album works simply to enhance these feelings within you and to make you really driven to do everything you can for your children. Download it today and stop worrying about getting it perfect every time - become a better parent by believing in yourself!